Code Pink protester interrupts Netanyahu’s speech before Congress | can i just finish my waffle? A protester is dragged from the House Chamber on Capitol Hill in Washington, Tuesday, May 24, 2011, as Israel’s Prime Minister Benjamin Netanyahu addressed a joint meeting of Congress. This is really Not her. 🙂 But why get technical? Oh my lord, what a photo! 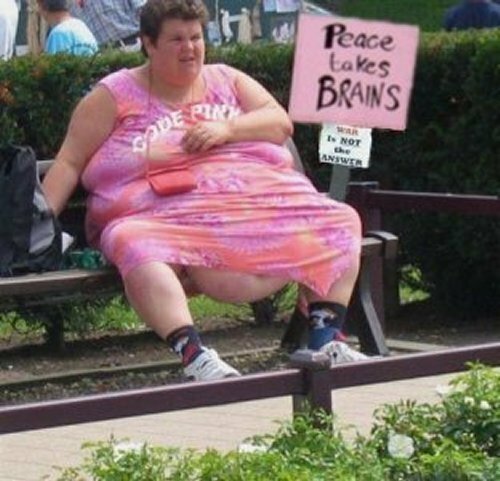 …War may not be the answer but Weight Watchers is!